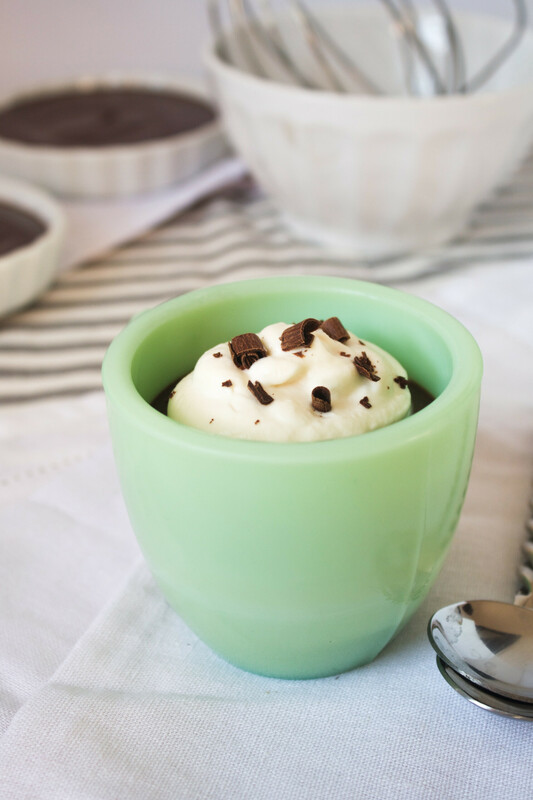 Chocolate Pots de Crème is an evergreen dessert; it’s delicious no matter the time of year, weather, or occasion (or lack of). 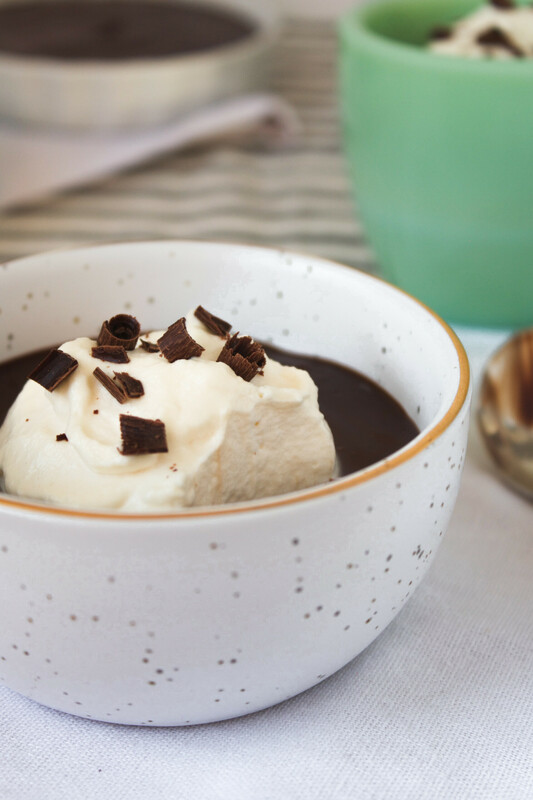 Served chilled, this decadent treat hits the spot even on the hottest of days, while also falling into its rightful place in the winter months. 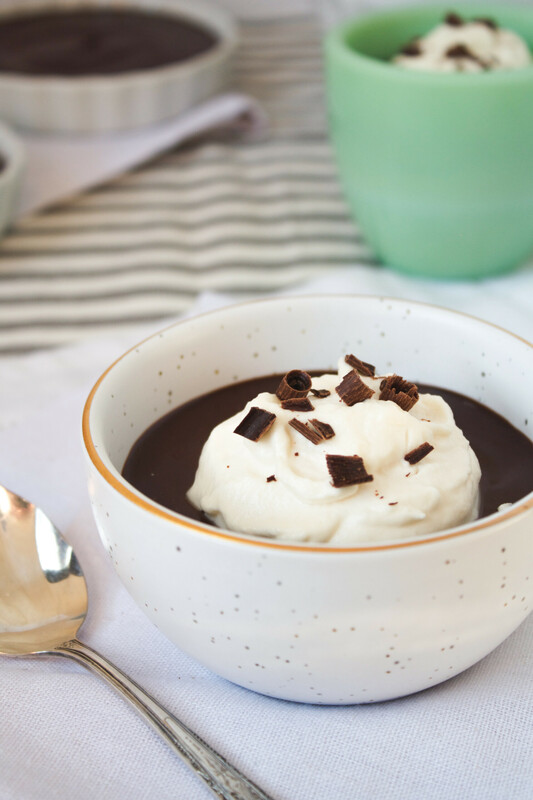 This Chocolate Pots de Crème recipe isn’t for the faint of heart, it’s got bold flavor accompanied by the most thick, creamy texture. It’s honestly dessert gold. 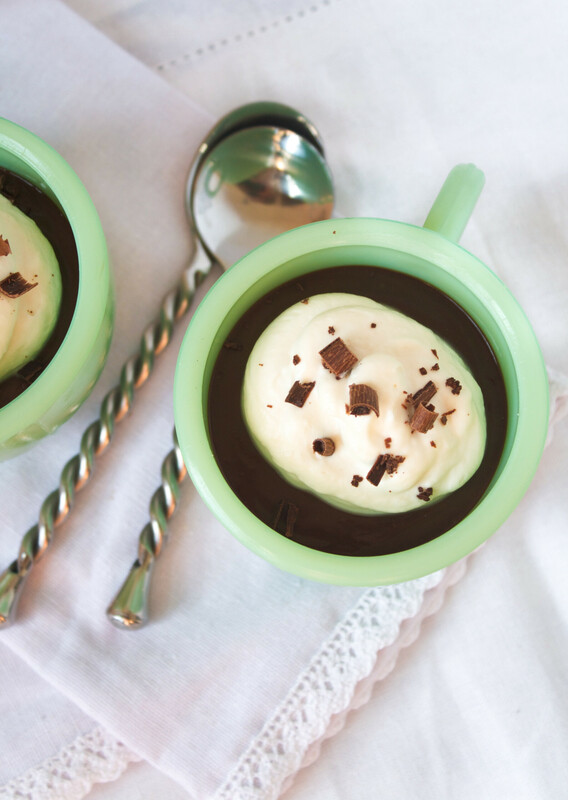 And to top off all it’s glorious goodness, Chocolate Pots de Crème is incredibly easy to whip up. 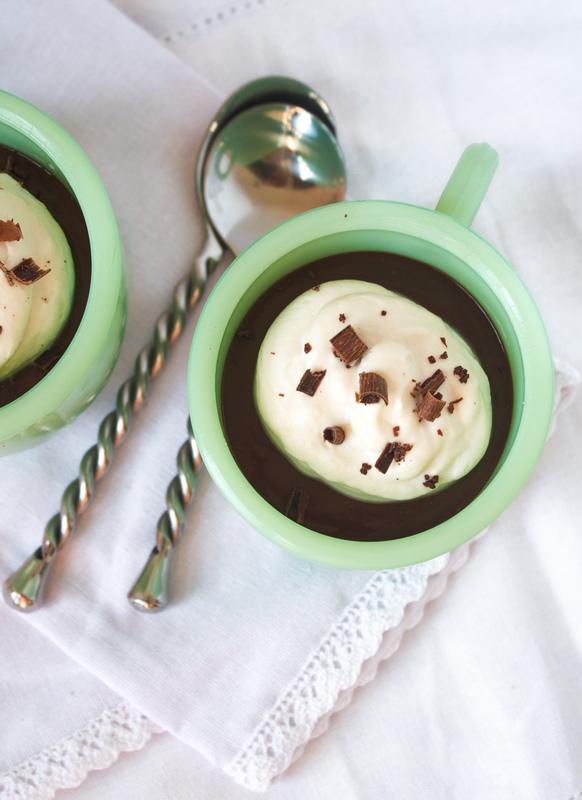 I worked at a fabulous restaurant from high school through college, and a bit after I graduated (yes, we have good eateries here in Iowa) which served Chocolate Pots de Crème. 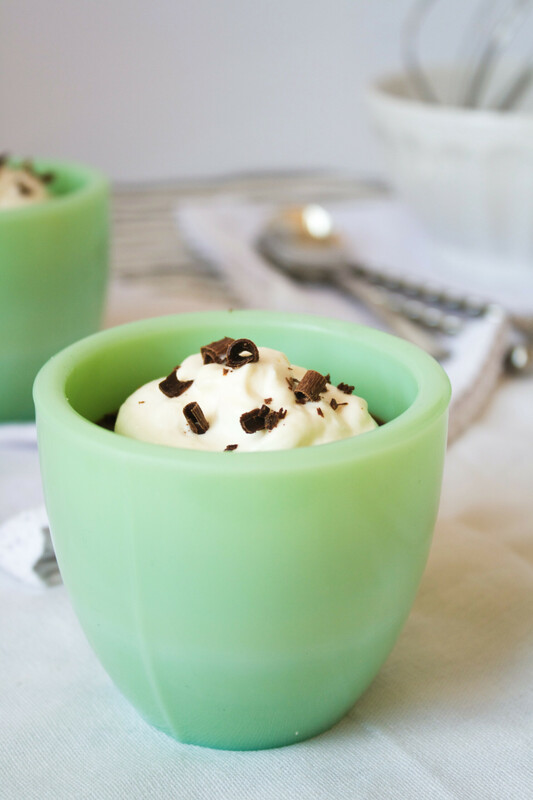 We served ours in little espresso cups, and although some people may think it’s skimpy, I find it’s the perfect amount due to the decadent nature of the dessert. 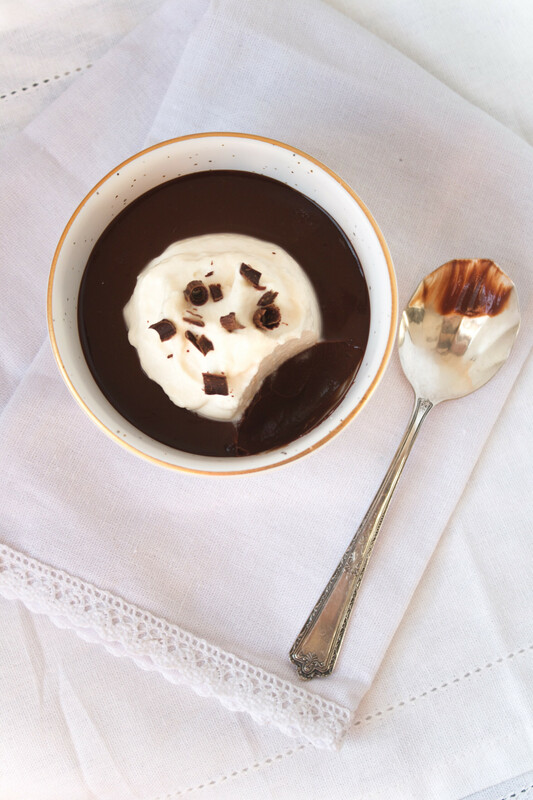 The best way I’ve found to describe pots de crème is a cross between pudding and crème brûlée, but a little thicker. 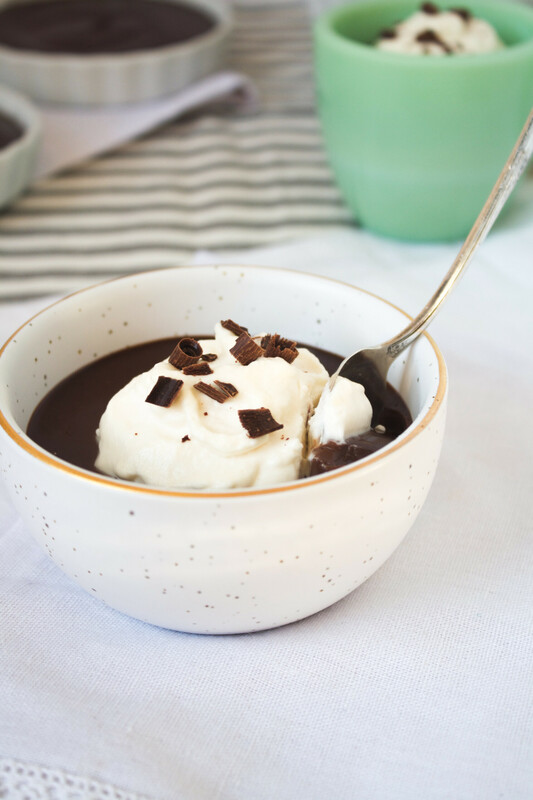 I know — it doesn’t do it justice, and if you give this recipe a try, you’ll really roll your eyes because it’s leaps and bounds better than that description. 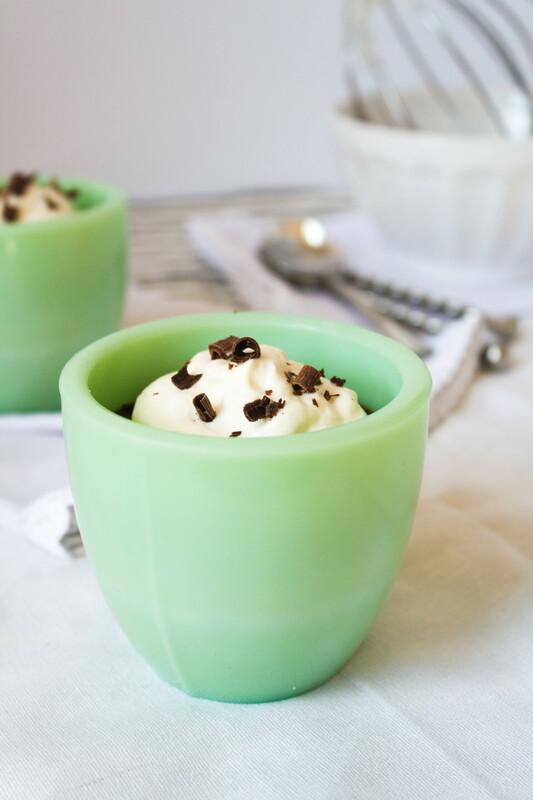 I’ve always wanted to make Pots de Crème but never took the initiative. After all, it was at my fingertips for nearly 8 years; why make something if someone else has already mastered it and does so daily? Since I’ve been out of the restaurant biz for about a year now I thought it was finally time to give it a whirl. And what better way to do so than with a personal cooking class? 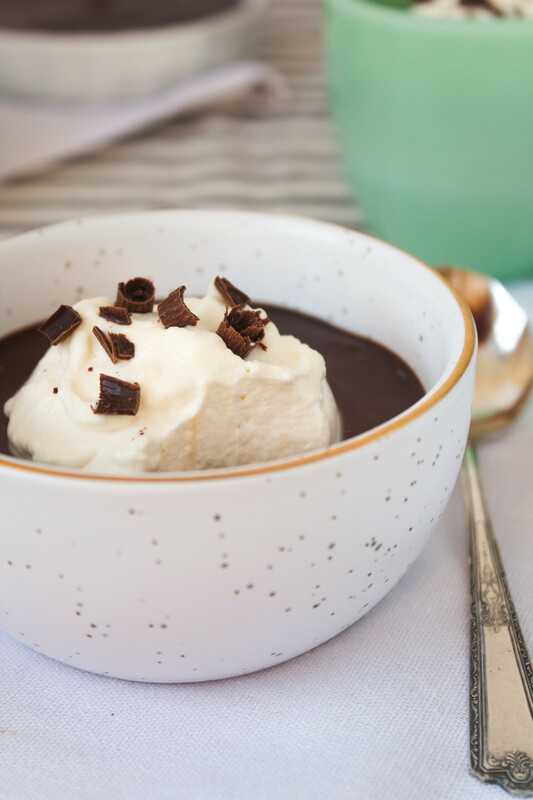 I recently checked out America’s Test Kitchen’s online Cooking School and I was amazed at the hundreds of recipes (272 to be exact) that they have thoroughly compiled with step-by-step photos, videos, information, and more. 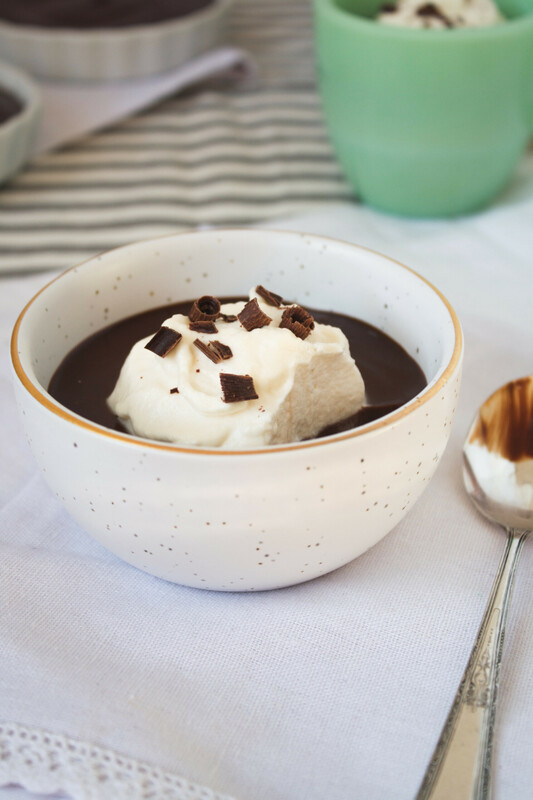 From yeast breads, marshmallows, grilling and braising meats, to cakes, pastas and more, one can master any and all of the 272 recipe courses (and counting) they have to offer. What I really like about their cooking school is that it not only takes you through a step-by-step photo or video course of each recipe, but it truly delves into techniques that then transfer into cooking skills for future kitchen endeavors. For each recipe, they take you through the whole process, start to finish. From explaining why the recipe is written the way it is, to sharing common mistakes (and how to avoid or fix those, shall you run into them), listing equipment needed, product recommendations, and, of course the actual cooking. All that’s left is to snap a photo of the final product and share with other cooking school members. If you have a question or problem with something you can chat with other students or get in touch with one of their experts, Bridget Lancaster or Ellie Simone. ATK, as always, has thought of everything. Whether you’re a beginner cook, looking for a newlywed gift, or want to dive deeper into the science and process of cooking, a membership to the America’s Test Kitchen Cooking School just might be your answer. Whisk yolks, sugar, and salt in medium bowl until combined; whisk in heavy cream and half-and-half. Transfer mixture to medium saucepan. Cook mixture over medium-low heat, stirring constantly and scraping bottom of pot with wooden spoon, until thickened and silky and custard registers 175 to 180 degrees on instant-read thermometer, 8 to 12 minutes (see photos, below). Do not let custard overcook or simmer. 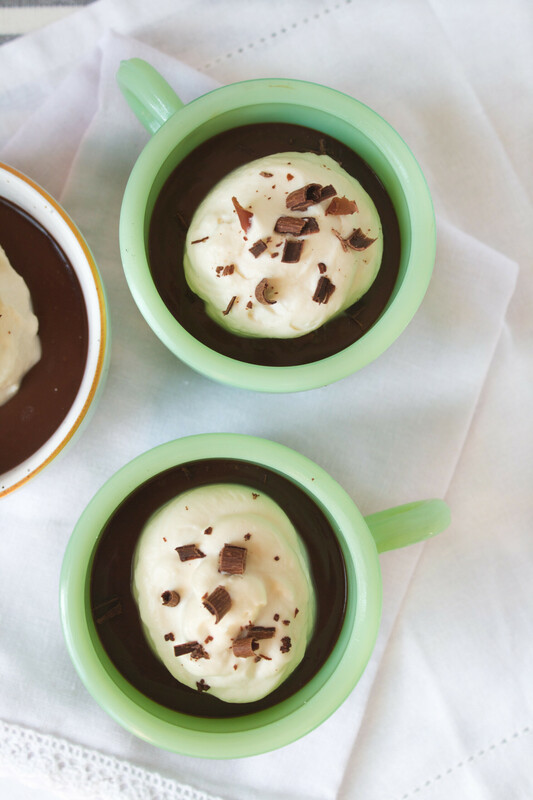 Immediately pour custard through strainer over chocolate. 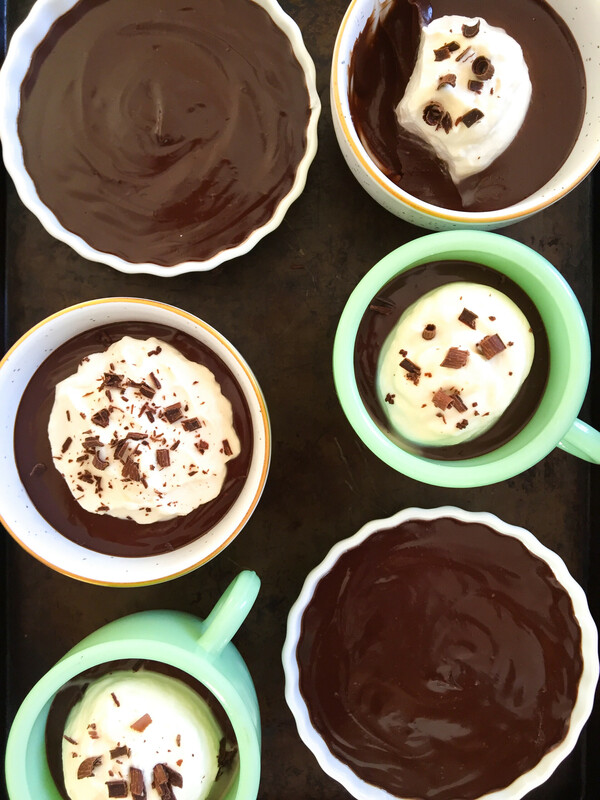 Let mixture stand to melt chocolate, about 5 minutes. 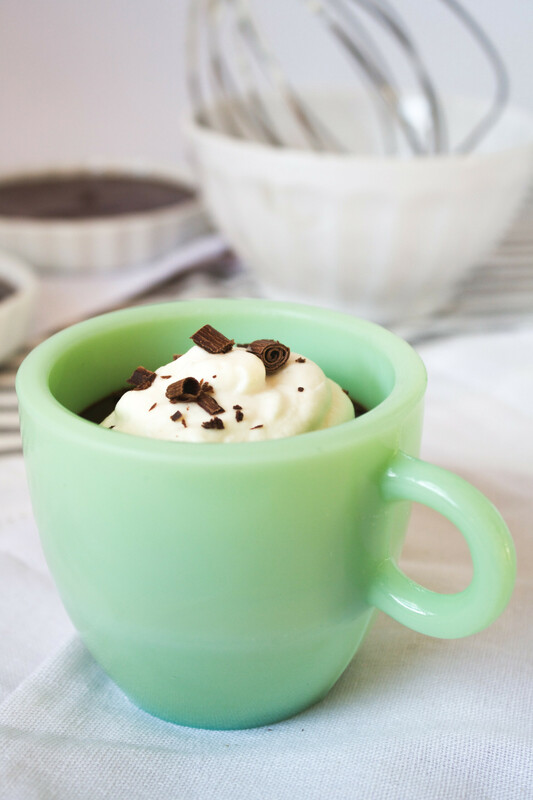 Whisk gently until smooth, then whisk in vanilla and espresso. Divide mixture evenly among eight 5-ounce ramekins. Gently tap ramekins against counter to remove air bubbles. 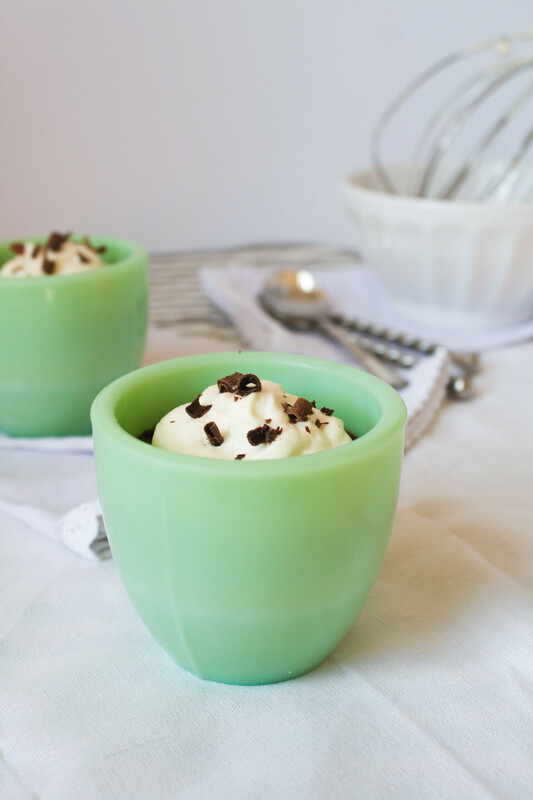 For the whipped cream: Using hand mixer or standing mixer fitted with whisk attachment, beat cream, sugar, and vanilla on low speed until bubbles form, about 30 seconds. Increase speed to medium; continue beating until beaters leave trail, about 30 seconds longer. 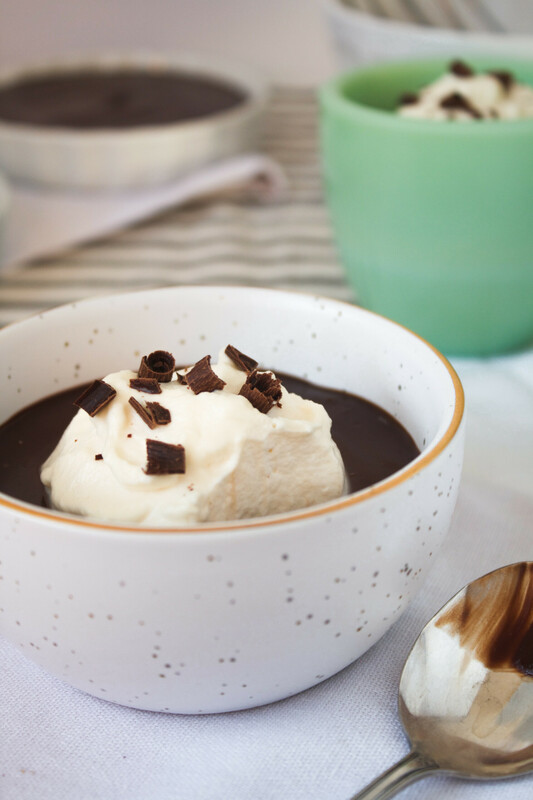 Increase speed to high; continue beating until nearly doubled in volume and whipped cream forms soft peaks, 30 to 45 seconds longer. 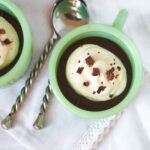 Dollop each pot de crème with about 2 tablespoons whipped cream; garnish with cocoa or chocolate shavings, if using. Serve. Keep an eye out on Facebook & Instagram for a fun (and educational) giveaway from Zestful Kitchen and America’s Test Kitchen! Cooking up some ZK or seasonal recipes? Snap a photo and share it on social media with the #zestfulkitchen hashtag. I’d love to see what you’re cookin’ up!